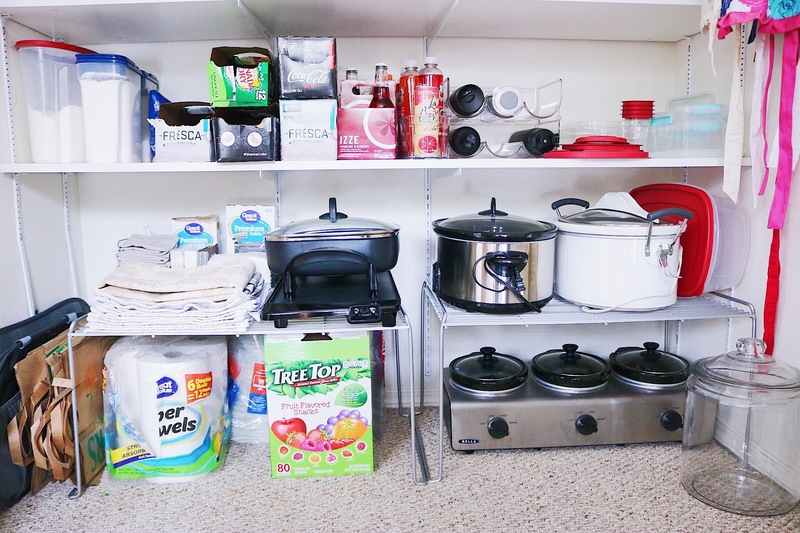 Brace yourself, this might be the most exciting post you’re ever going to read on CB EATS…ha seriously though this pantry declutter and reorganization project has made life in the kitchen so much less stressful and much more functional. 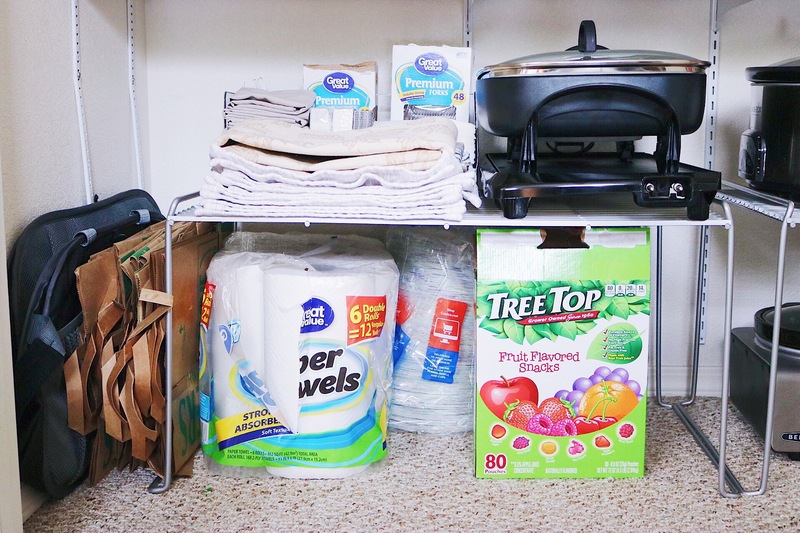 If you’re into organizing your life and staying tidy this post is for you. I hope this post brings you some inspiration to organize your pantry, declutter something in your life that helps clear your mind and makes your life more functional or simply inspires you to do something that’s been on your to-do list. I had been wanting to declutter and reorganize our pantry for months and when the New Year hit I was so antsy to get it done. 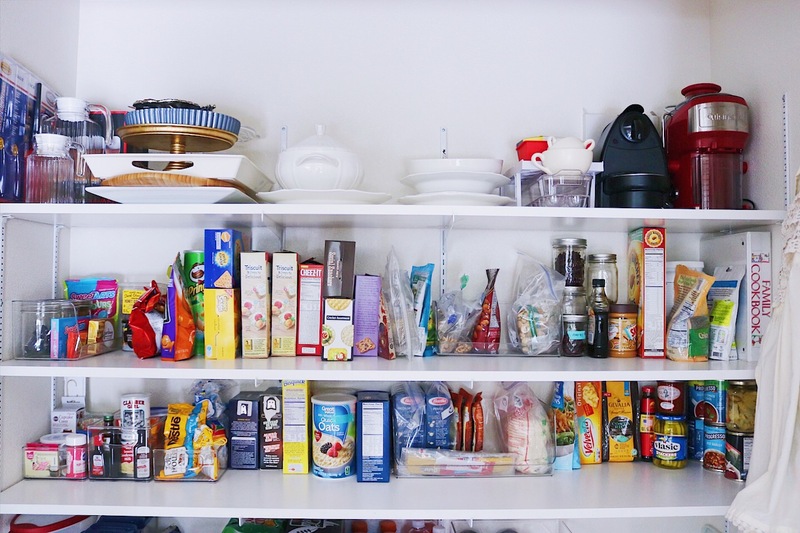 Just the thought of not having it done was driving me crazy, every time I had to go into the pantry which is multiple times a day it irked me to the core seeing the piled up mess. Going in for a piece of chocolate should not be stress inducing, but for me it turned into that and as you can see in the below image.. things had gotten a bit out of hand. I’m embarassed showing how out of hand I had let it get, but this is what real life was looking like for me. I like to think of myself as a tidy person, but once things get this out of control it’s hard to reign it back without a full makeover. What I thought was working clearly was not. I had tried to keep it organized by category but it wasn’t functional at all. Everything on the floor was taking up too much space, it was impossible to get to the placemats and counter top skillets on the 4th shelf, all of my baking supplies were spilling over and split up between shelves, and the top shelf full of miscellaneous kitchen items and random oversized plates/platters was a set-up with things falling every time you had to grab something from up there. Also, so much of the food was hidden thus I kept overbuying things, a lot of food was expired because it couldn’t be seen, and there was no room for anything extra thus more piling in. This is seriously was my nightmare and as you can now see had to be taken care of. I wanted to begin with a plan and that plan started with reading The Life-Changing Magic of Tidying Up which gave me so much inspiration and gave me the idea to start by throwing away expired food, and donating any non-food items that I wasn’t using. So many things in there just weren’t giving me joy 😉 After those first steps of just getting rid of stuff I had a clearer view of the items that would be living in the pantry. After getting rid of stuff it made room for extra items that were floating around in other random places in our kitchen. I was able to put all of our water bottles in the pantry instead of falling out of the cabinet above our microwave, put all of the soda boxes that were living above the fridge and move all of the miscellaneous baking items such as vanilla, sprinkles and cupcake wrappers into the pantry as well. Which in turn made some other unruly areas of the kitchen organized in the end too – win win! At this point, I knew exactly what would be living in the pantry and how it would be organized it by category. By drawing it out I was able to get an idea of where I wanted things to go beforehand instead of having to move everything a bunch of times to get it just right. Things stayed pretty close to my plan in the end and it really helped me visualize exactly what I wanted. This also helped me plan how many organizing bins I needed to order so I could get everything done in one sweep instead of having to order more and draw out the process even longer. ahhh soo much better! 🙂 Once the items I ordered arrived, I basically took everything out, wiped down the shelves and grouped all of the items based on the categories in my blueprint. This made it soo easy to put things back in their new place at one time. The top shelf is less cluttered and organized by type of item making it easier to find what I’m looking for and things aren’t piled haphazardly so I can get to what I need. It’s so much easier on the eye too! For the 2nd shelf I organized all of the food by category like candy/sweets, crackers/chips, nuts, breakfast items, and protein/nutritional items. The 3rd shelf has baking items, and dry ingredients like rices, pastas and oats. I also stored all of our cans and restock supplies on this shelf. Also in checking all of the food’s expiration dates, I decided I would start marking food that is close to expiring with washi tape so when I look in the pantry I can easily see what needs to be used sooner than later. This has already helped us to use up what we have instead of just buying more ingredients and should help us waste less food. I used these stackable bins to keep these dry goods together, as well as tuck all of the candy away in one corner and in mason jars to keep them from spilling out all over the place like before. By the way those Dark Chocolate Honey Grahams from Trader Joe’s are my current sweet obsession. I used this set of organizing bins for all of the miscellaneous baking supplies I have, they are the perfect size. I used one for decorative items, one for small baking ingredients like vanilla and baking powder, and one for larger bagged ingredients like chocolate chips. I love that they are all together now instead of randomly placed throughout our kitchen, and I can go in and grab an entire bin if I need multiple items from one. The bottom shelf has dry baking goods like flours and sugars, these items are on separate shelves from the other baking ingredients but stacked on top of each other which is functional for me. I was able to move all of the sodas onto this shelf, as well as water bottles and there was enough space to keep all of our food storage bins stacked for easy access. I didn’t plan on buying these water bottle racks but they are seriously genius and keep them from falling like bowling pins when one gets knocked over. They are probably my favorite of this entire reorganization project! 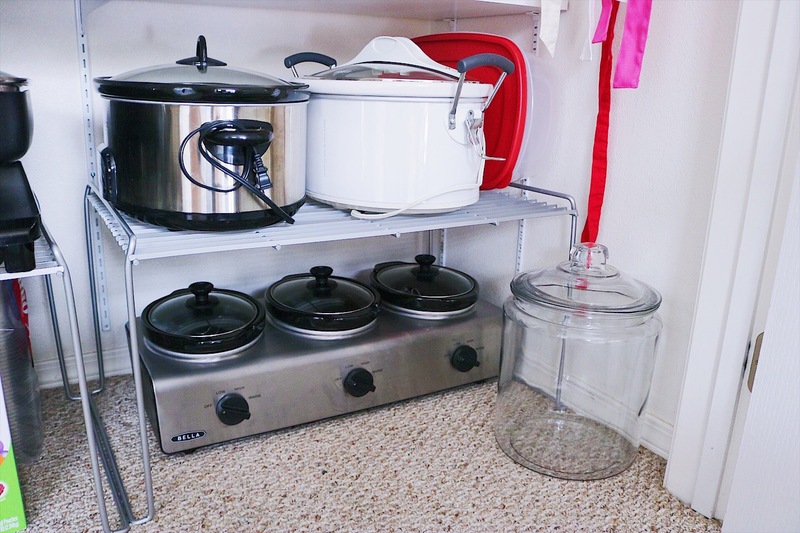 Exciting stuff right 😉 Last but not least was organizing the floor space, I used these wire shelves to add extra storage space for all of the crock pots I own as well as paper goods, and now everything can be seen and tucked away in their rightful places. It is soo much better! I’m so happy to have this pantry declutter and reorganization project finished, and it makes me so happy every time I open those doors to get something out of there. I enjoy cooking even more so and have a clearer mind when I look in there to see what ingredients I can use while I’m cooking or when I’m planning for upcoming meals. I love how organized it looks but even more so how functional it all is now. 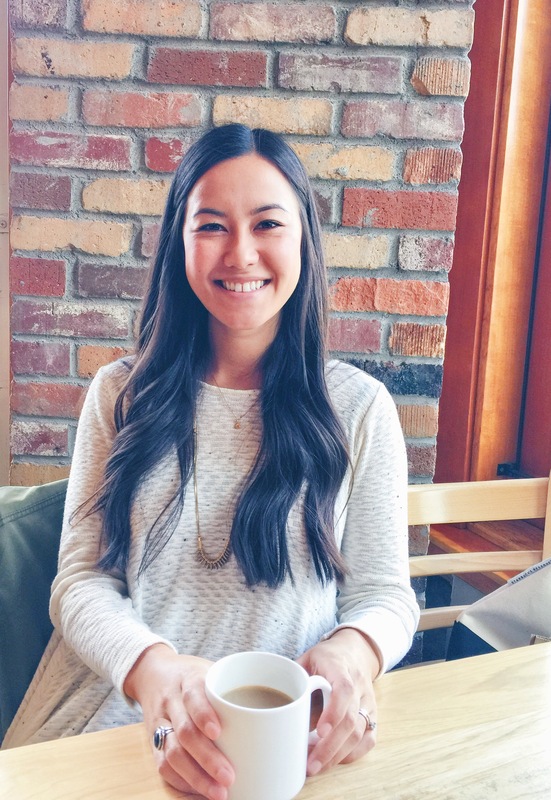 Thanks for stopping by CB EATS, I hope this post inspires you to get organized in your own life! Follow CB EATS by subscribing to email updates or follow along on Instagram or Pinterest.